Gift certificates now available to online! Purchase here! Orange County Distillery was recently featured on Fox 5 News. Watch the video below! Download our App on your phone! Introducing our very own FREE app to help you stay informed and in touch with everything going on at Orange County Distillery and Brown Barn Farms! All this and more, with more features coming soon! Features such as event discount codes and day-of drink special alerts will ONLY be available to app owners, so don't miss out! Download in the Apple App store or in Google Play! Located on a fifth-generation farm in the black dirt region of Orange County, New York, we are a true farm to bottle craft distillery. Our focus is on quality, not quantity. We grow everything on our farm that we need to produce quality spirits. Quality ingredients, small batches, hands-on processes. We can pull a sugar beet out of the ground and turn it into vodka within a week. Or take a bushel of corn and turn it into whiskey in the same amount of time. If you ever want to know exactly where a bottle of our vodka, whiskey or gin comes from, all you have to do to is take a step out our front door and look at our fields. We're pretty sure that if you ever had to define what a farm-to-bottle distillery is, Orange County Distillery is it. Take a look below to see every step of our process, from growing to distilling to bottling and everything in between. This is what a craft distillery should be. Here at Orange County Distillery we grow all of our own crops. From corn for our whiskey to sugar beets for our vodka to botanicals for our gin, we grow everything. Nothing 'locally sourced' from 30 to 200 miles away. All you have to do is take a step outside our front door and you'll see the fields where everything is grown. Since we grow our own produce, it would only seem natural that we also harvest everything ourselves as well. Which gives us complete control over the quality of everything we choose (or not choose) to use in our spirits. We quickly realized that if we wanted the freshest and best tasting malted barley available, we would have to do it ourselves. 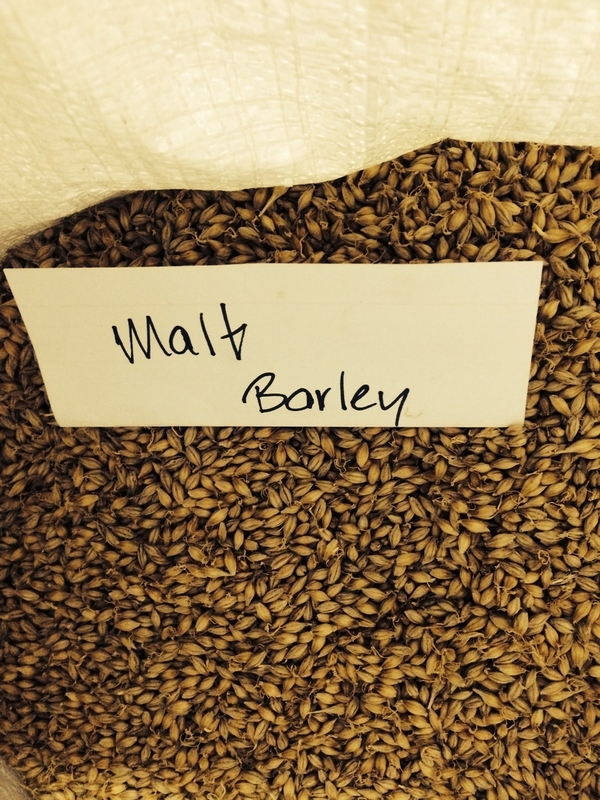 We malt only when we need it, and only in very small batches. Thus ensuring that we never have malted barley sitting around losing its freshness and flavor. Done in small batches, just fifty gallons at a time. Before adding anything to our mashing pots, we clean it and then pulp or grind it down. 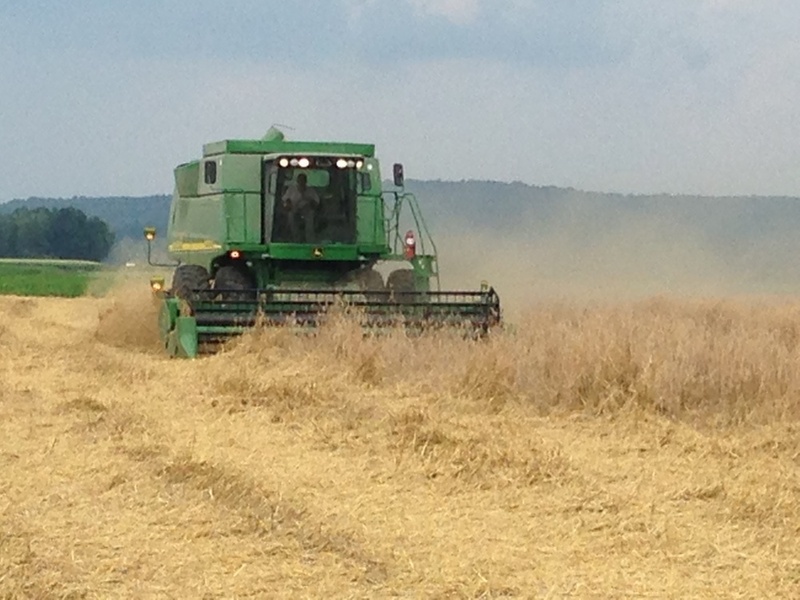 The only ingredients that ever go into our mashes are our farm-grown produce and water. That's it. Taken directly from our mashing pots, we keep a very close eye on the entire fermentation process. We start by adding carefully selected yeasts that have been created specially for our needs. Then we monitor the conditions every day until everything is just right for the next step, which can take up to a week or more. As you might have guessed, all of our botanicals are grown on the farm. We only use botanicals in our gin. Lemon Balm, Lavender & Ginger Mint are just a few of the botanicals that we use. Picked fresh by hand and then added directly to a gin basket in our column still for distillation. We believe that distilling is an art form. Which is why we use small stills that require a hands-on approach instead of large computer-run stills. It allows us to keep every step close at hand. Everything is done first on a pot still. All of our whiskies are run a final time on the pot still, while our vodka and gin are finished off on a separate column still. Our bourbon is aged in new, charred american oak barrels. For how long, you might ask? For as long as it takes until we are 100% satisfied. Never rushed. Used barrels will be re-purposed for something else we might have up our sleeves in the near future...perhaps a malt whiskey or a barrel-aged gin...who knows. The last step in our process is bottling. No bottling machines here cranking out hundreds of bottles a minute. We take our time bottling, corking and labeling, all of it done with our very own hands. Why? Because handcrafted truly means something here.